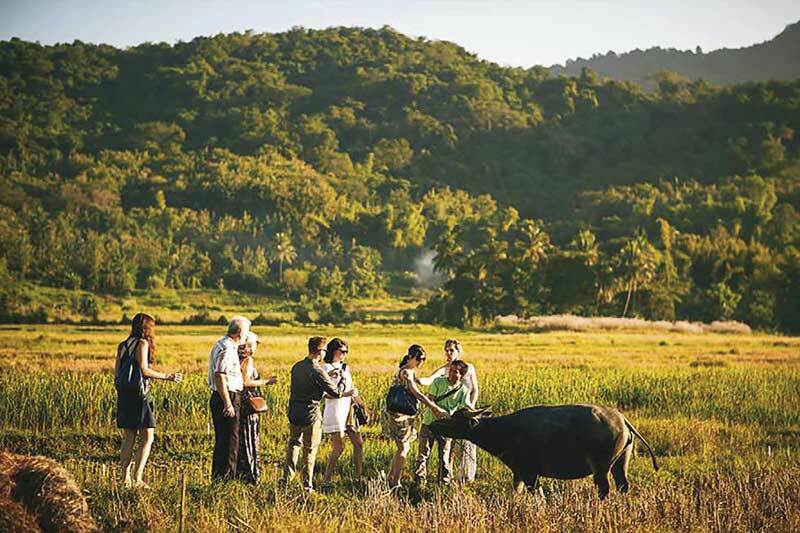 More than 80 per cent of Lao people engage in farming activities, and “Living Land Lao” organic farm just outside Luang Prabang helps visitors experience the traditional Lao farm life. This arable farm prides itself on a “hands-on” approach: visitors are encouraged to experience how rice is grown and cultivated. A budding farmer can sign up for a home-stay programme for a night or two, and get a taste of agricultural life. Plowing a rice paddy involves negotiating with the meek yet occasionally stubborn water buffalo with a plough. Set in the idyllic village and classic countryside, Living Land Lao also offers a half-day programme for those who want to watch and try to understand fun and educational farm practices. Living Land Lao is a must-do in Luang Prabang since it offers a chance to integrate in the life of the locals, and providing fascinating insights into rice growing in Laos.